HydroGuard super absorbent polymer water crystal has many proven practical applications in manufacturing, energy production, mining and many other industries. It is used to solidify and stabilize water constituents in liquid waste by-products. The unique characteristic of HydroGuard super absorbent polymer is its ability to absorb water or organic fluids, reject oil and resist bio-degradation while retaining liquid under pressure. This makes it an ideal stabilizing medium for waste disposal in landfills. 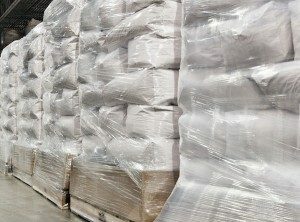 HydroGuard super absorbent polymer is a cost-saving alternative to other bulk solidifiers, including Portland cement, kiln dust, corn-cobs, sawdust or other commodity absorbents. Minimizes waste volume because typical expansion is less than 1%. All super absorbent polymer crystals are not the same. Waste streams vary in chemical composition, salinity, temperature and other ways. That’s why we have specific SAP formulations that we match to corresponding liquid waste. 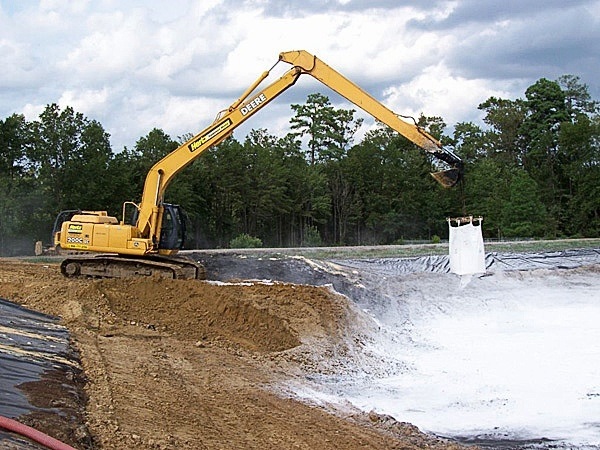 Drilling fluid (mud) and drill cuttings disposal, mine tailings, pit, pond and lagoon closure, waste contained in roll off boxes, hazardous waste streams, de-watering. Absorption Capacity in De-ionized water 350 – 380.0 g/g Min. HydroGuard PAM For more difficult applications where water some salt concentration is present and for other specialized solidification requirements. Polyacrylamide is an acrylic resin that is employed in the treatment of industrial and municipal wastewater. Note: Significant concentrations of salt may require additional PAM due to reduction in absorption capacity. On site testing is recommended. We have a large inventory of super absorbent polymers which are ready to ship. 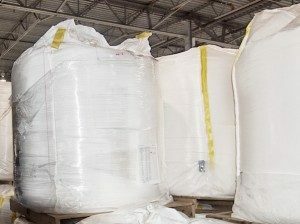 If you need a truckload, a pallet of 50# bags or a metric ton in bulk sacks for industrial clean-up, we will ship in a timely and efficient manner. Let us help you select the right grade of HydroGuard super absorbent polymer for your hazardous, non-hazardous or radioactive waste solidification and stabilization project.